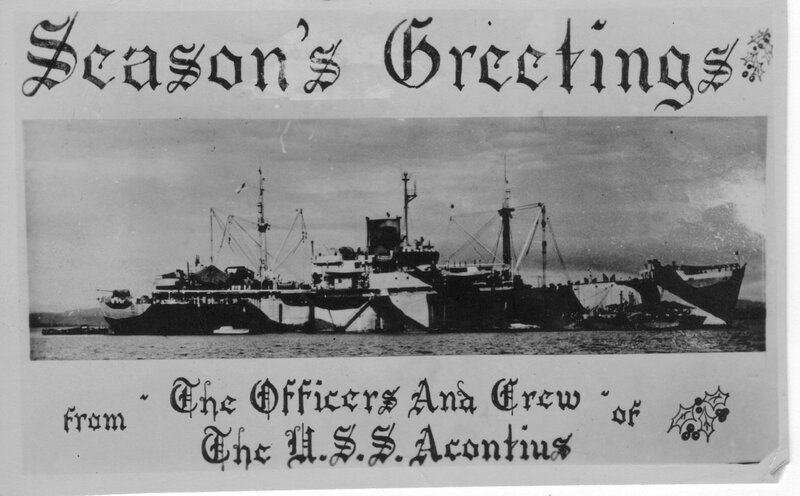 Laid down, 5 June 1943, as SS Cape Carthage, a Maritime Commission type (C1-A) hull under Maritime Commission contract (MC hull 304) at Pusey and Jones Corp., Wilmington, DE. 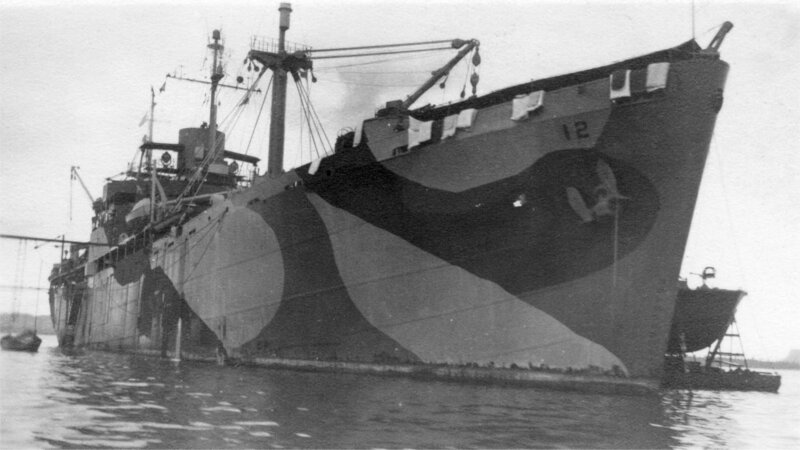 Converted for naval service at Maryland Drydock Co., Baltimore MD. 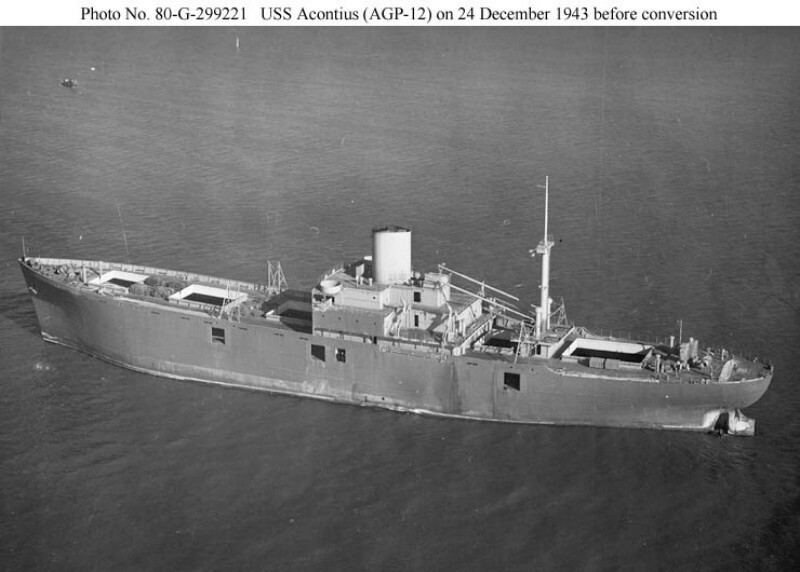 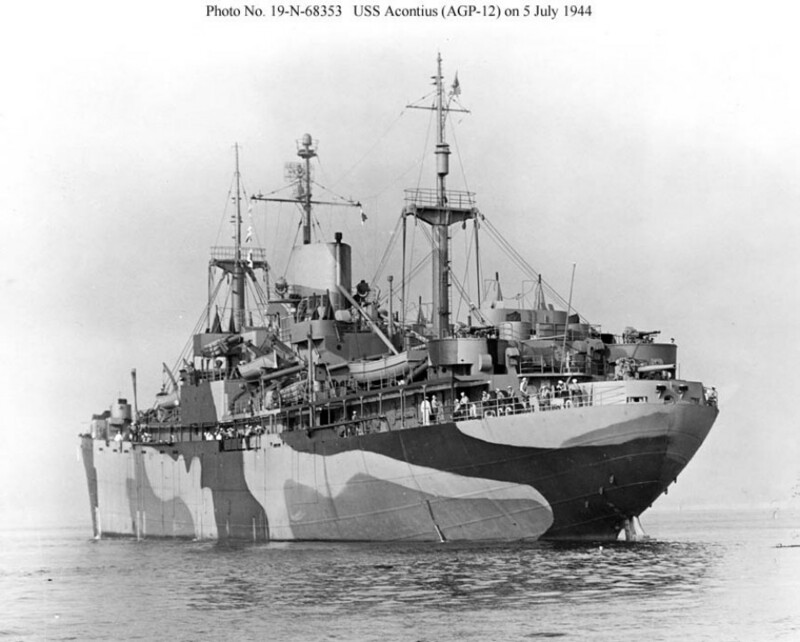 82k USS Acontius (AGP-12) underway, 24 December 1943, enroute to her conversion yard, two days after delivery to the Navy by the Maritime Commission and the builder. 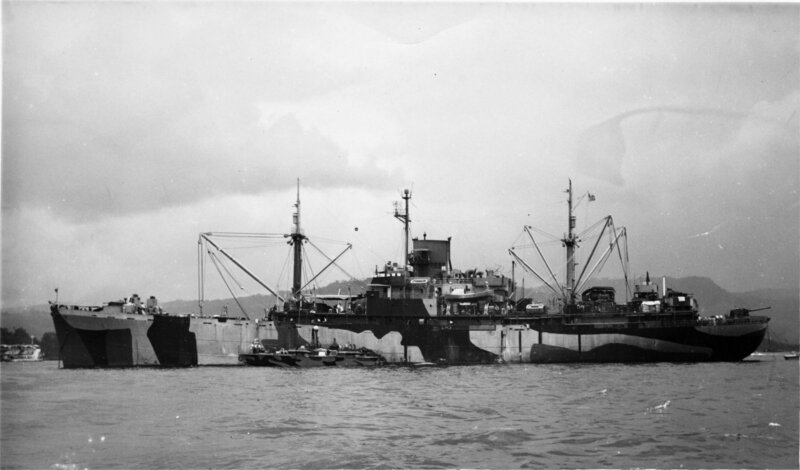 Features not required in the conversion to AGP - including the entire merchant ship rig forward of the bridge - were omitted by the builder. 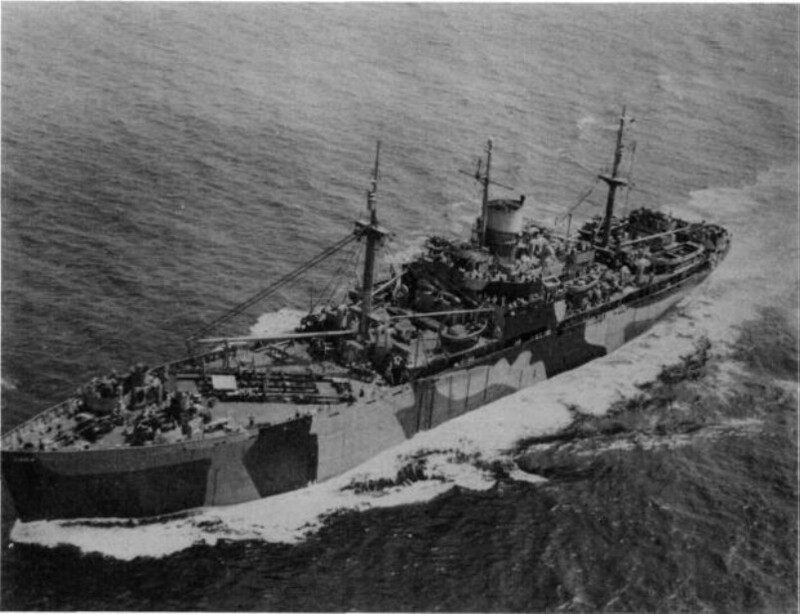 108k Aerial view of USS Acontius (AGP-12) taken from a blimp from NAS Lakehurst, N.J. while underway off the eastern seaboard, 12 August 1944. 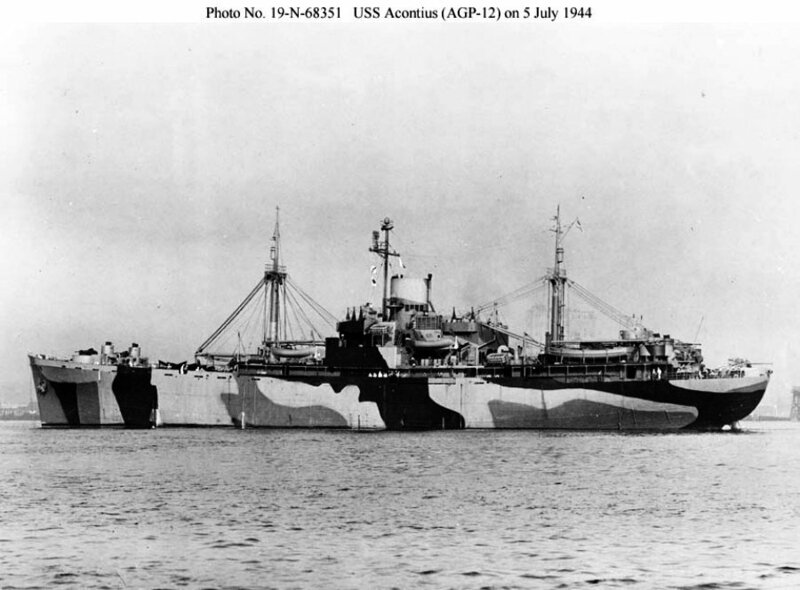 The ship is pained in Measure 31, design 2F camouflage (dull black, ocean green and Navy green). 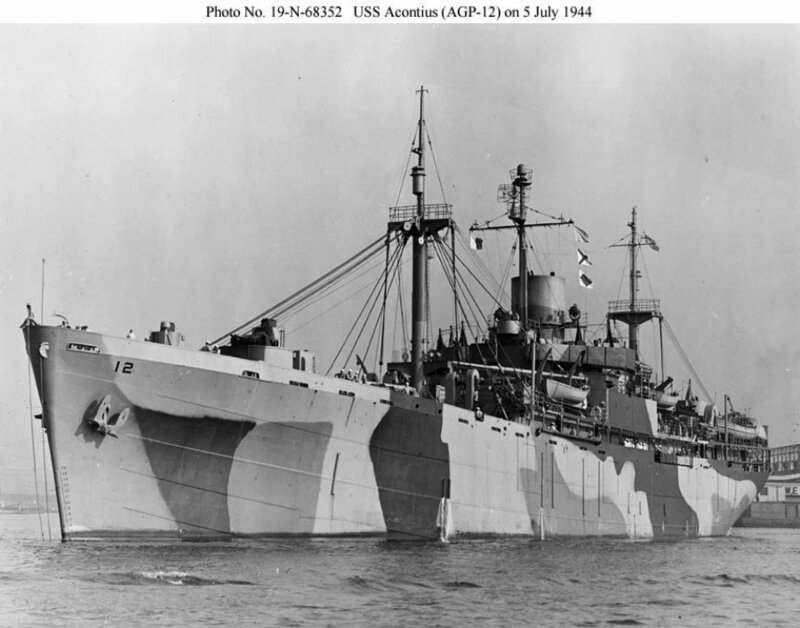 The ship appears complete, note the cradle for repairing PT boats on deck forward under the ship's 50-ton main boom.